Kacey’s only known the dysfunction of life with her mother. So when she moves in with her dad, things are shockingly normal. Including her stepmother and step siblings. She even makes new friends, tops among them being Bailey and Jade. Amazing how quickly they took her in and made her one of their own. Maybe a bit too quickly? When Bailey goes missing, all eyes turn to Kacey. What does she know about Bailey’s disappearance? And does it have anything to do with the legend of that creepy ghost lady everyone likes to talk about? Kacey soon finds out that her new friends aren’t at all what they seem to be. This is mean girls at its finest. Two’s company, three’s a crowd and all that. The real thrill, though, comes from the many twists and turns along the way. It’ll keep you guessing up until the very end. And after you’re done guessing, you’ll just be shocked. 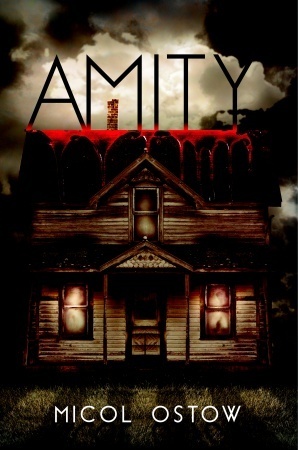 Did you grow up scared sleepless after watching Amityville Horror? Did you watch it more than once just because you were fascinated yet slightly traumatized by it? Were you interested enough in the true story to do a little bit of research into what really happened in Amityville? If any of the above questions apply to you, this new book by Michael Ostow is definitely a must-read! This creepy supernatural story plays off the events retold in Amityville Horror. Two horrific tragedies are at play here, separated by a span of ten years. Gwen and her family are the lucky inhabitants of the Amity house ten years after Connor and his family were in residence. And of course, things didn’t end happily ever after for the original inhabitants. The chapters easily alternate between the two time periods with everything converging at the end. Demonic possession, ghosts, ancient burial grounds, and good old-fashioned human murder all have a starring role. Great for fans of scary good stories, and safe enough for young adult readers. As long as they don’t mind a few sleepless nights, that is! I could not put this book down. Because it’s by Holly Goldberg Sloan. And she’s amazing. This is the story of Sam and Emily. From the moment they meet, they realize they’re destined to be together. But there are problems. Sam and Emily don’t just come from different backgrounds. They come from entirely different worlds. Sam and his little brother, Riddle, have been on the run with their thieving, murdering father since they were little. They haven’t seen their mom since the day they were loaded into the car and basically abducted by dear old dad. Traveling from town to town, they only stay long enough to exhaust the supply of people to victimize. Sam’s guarded and shy, and his only goal in life is to look out for Riddle who has been stuck in his own little world since he was a baby. And then there’s Emily. She’s lovely beyond belief in both body and spirit. She comes from a good family, has plenty of friends, and doesn’t lack for male admirers. She has a happy, if somewhat uneventful, life. All that changes when fate intervenes and she sees Sam sitting in the back of the church as she sings one Sunday morning. And then everything changes. He becomes her everything, her reason for being. And he begins to live for someone other than his little brother. But of course love is never easy, and in this story it’s downright dangerous. Sam keeps his family secrets close to his heart, although he finds it harder to do so as Emily’s family embraces both Sam and Riddle. They feed them, love them, and provide that emotional support that’s been missing in their lives. Just when we think that everyone might actually get their happily ever after, dear old dad decides they’ve been in one place for long enough. With nary a glance behind him, he once again uproots the boys and hits the road. I absolutely loved this book. I love dystopian/apocalyptic stories and went through a phase when that’s all I would read. I’ve read almost every angle that’s been covered. Cyborgs, utopian societies, altered life forms, walled-off cities, rampant viruses, mutant beings, total environmental destruction…I’ve sampled them all. And then along comes this little gem that doesn’t fall into any of those categories and really isn’t very dystopian at all. Meet Ella, or so she’s been named by her new owners. She’s one of a new breed, humans genetically engineered to be pets. These are the new status symbols for the rich and famous. And Ella comes from the best of the best, Greenwich Kennels, where young girls are taught how to walk, talk, smile, and perform on command for their wealthy owners. 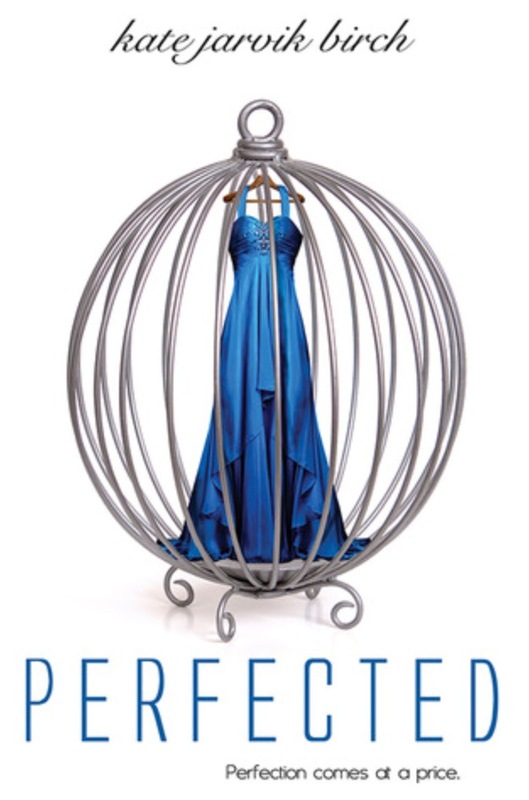 When Ella is purchased by Congressman Kimball and his family, she encounters a world she didn’t know existed. The family is both rich and powerful, and Ella is brought home to live in the lap of luxury. All she has to do is entertain young Ruby Kimball and smile prettily for the Congressman and his friends. But her training didn’t teach her how to deal with her more human emotions. Emotions like sadness when hearing beautiful music, amazement when tasting candy for the first time, and passion when she falls for the Congressman’s son, Penn. She knows she’s been given a good life and lives in fear of being sent back to the kennel for doing something wrong. But beneath all the glamour lies an undercurrent of trouble. What happened to the family’s last pet and why was she returned to the kennel? And then there’s the Congressman’s creepy hands becoming ever more familiar day by day. The correlations between human pets and animal pets are eerily accurate. Ella has her own special diet and isn’t allowed to eat with her owners. She’s told what to wear, what to do, and where to go. She has a “collar” with her name and address engraved on it. She’s even been microchipped in case she gets lost. And when she misbehaves, she’s put on a chain. She’s not expected to have an opinion, just to please the family. This was one of those can’t-put-down books for me. Once I started it, I just had to find out what happens to Ella. She’s such a likable character, an innocent at the hands of people who just want a pretty plaything to show off. I loved her innocence and amazement at experiencing things for the first time-a banana split, a butterscotch candy, a midnight swim, a first kiss. 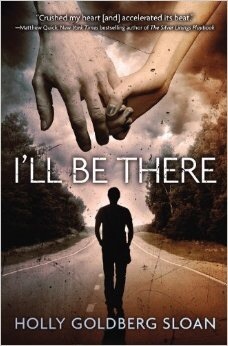 Kate Jarvik Burch has crafted an amazingly engaging story that had me from the first page, the first line even. Grab this one, and be prepared for a marathon reading session! 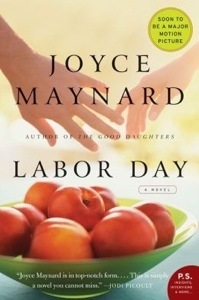 Review ~ Labor Day by Joyce Manard. Hmmm,…. Where to even begin? Ok, let’s start with the basic premise, before I go into detail why I did not like this book. The reader is introduced to 13 year old Joe (the narrator) and his mother, Adele. Living on their own in rural New Hampshire, we are told that Adele is not exactly all there. On one of their rare trips out of the house to get Joe some school supplies, they get held hostage and told to drive back home with Frank, a newly escaped prisoner. This is where it goes to pieces. I’m going to split this up into three sections: plot, writing and general absurdities. Plot: without giving too much away, let’s just say that the way this plot fleshes out is extremely trite and unrealistic. I get that we need to suspend disbelief in a fiction novel, but really, don’t insult me by trying to pass off something that is utter shite. Maybe it is because I’m only in my late twenties, but really, I feel like I’ve had enough experience in life to know the basics of a relationship! Now, the writing isn’t terrible , but it isn’t exactly good either. The narrator is that of a hormonal, wet behind the ears, 13 year old. Not exactly reliable. For a book that’s not even 250 pages, Maynard spends way too long on Joe and his experiences throughout this time. I’ve got no problem with coming of age novels, but in this instance, there were two strong elements to this story and not enough pages to fully explore one, let alone two. We’ve seen many plots explore young teenagers dealing with their sexual awakening, learning new things about the world and themselves, etc… However, Adele’s story is very different and had real potential to be fleshed out and had it been expanded further, it might have made me give it more credence. General absurdities: this is going to be short as I don’t want to give too much away. Some of the tropes used in this novel were so cliche and old that throughout, I found myself audibly saying “really?”. I also didn’t like how the author coupled a certain act with punishment. As you can probably tell, I really didn’t think much of this novel. It had real potential, and a few parts were good, but it just didn’t connect with me. However, the great thing about fiction is that it appeals to different people in different ways, so give it a go, and you might well love it. Anyway, must dash, I have to stay in the air as a certain muse has threatened to remove my hooves!